Figure 2-6. Graph of Projectile Bore Travel Versus Time (20 mm. Gun). 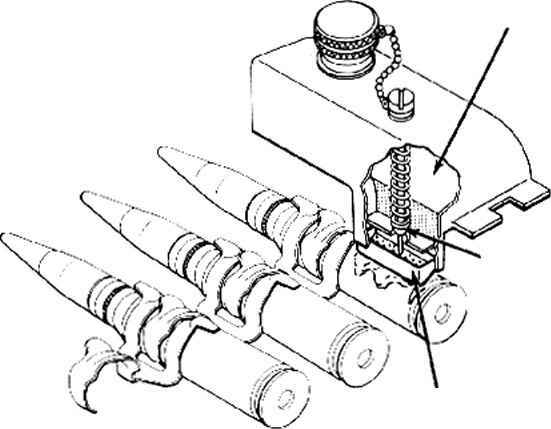 of the projcctile and powder gases, they produce equal and opposite reactions on the barrel which result in a corresponding retardation of the rearward movement of the gun. In other words, the internal resistances merelv i decrease the effective impulse producing motion but they do not cause any inequality in the forward and rearward momcntums. recoiling parts have been estimated in accordance with a preliminary design plan. Also, the velocity of the projcctile at any time is known from the available ballistic data (fig. 2-5). Therefore, the ordinate of the free recoil velocitv curve at anv time.